Please note that the content of this book primarily consists of articles available from Wikipedia or other free sources online. 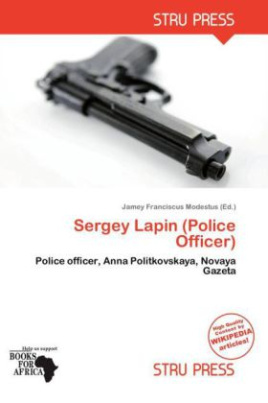 Sergei (Sergey) Lapin, also known by his radio communications call sign Kadet ("Cadet"), is a former Russian police officer who had served in Grozny, Chechnya as a Lieutenant in the OMON (special police detachment) from the Khanty-Mansi Autonomous Okrug. He has been convicted for the torture and "disappearance" of a Chechen student.In September 2001, journalist Anna Politkovskaya published an article in Novaya Gazeta newspaper called "The Disappearing People", in which she wrote about the allegations connecting Sergei Lapin and his OMON colleagues to the torture of Zelimkhan Murdalov. Following the publication of this article, Politkovskaya received two letters containing threats to her life, apparently written by Lapin.